Summer at Mighty Giant from the view of our work experience. This summer we flung open our doors and welcomed in an aspiring young editor to join us for work experience. Hi, my name’s Dorsa, I’m 17 and my hobby is editing with Adobe After Effects. 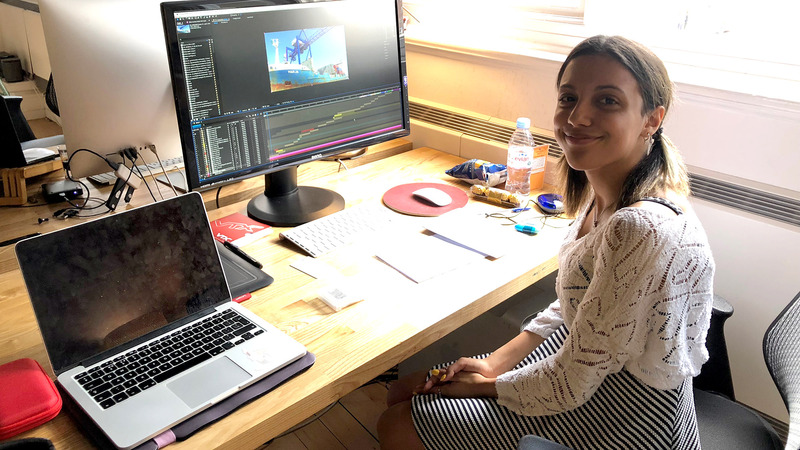 This summer I was lucky enough to get the opportunity to do work experience at Mighty Giant, which allowed me to experience doing what I love in a professional setting. I normally spend my spare time editing for fun, in a style I call ‘abstract editing’. Every time I edit something, I try to push myself to try new things: watching tutorials, practising, and testing out tools and effects that I’ve never used before. This style of editing has helped me to expand my knowledge of certain features within the programs I have used. Editing has always been a hobby of mine, ever since I was younger, so I started on simple programs such as Windows Live Movie Maker, then onto Final Cut Pro X and finally onto AE. I have also taken Media Studies as an A Level, wanting an academic basis and insight into my love of editing, so that I can make it into more than a hobby. Doing work experience at Mighty Giant was lovely, and provided me with a wealth of new knowledge and experience. I was given the opportunity to work alongside an extremely talented team- so I couldn’t help but occasionally glance away from my own computer screen, to look at some of the amazing things that they were making. Being in that position, I felt extremely inspired, so I tried the best I could with the brief that I was given. Yes, it wasn’t the most straightforward brief and it pushed me from my comfort zone, but I had tons of fun editing with it. So, thank you Mighty Giant for letting me gain this experience.